Forman Christian College was proudly represented by Formanites Debating Society at the 15th King Edward Parliamentary Debates 2014. Our orators showed their argumentative strength throughout the vigorous debating rounds. 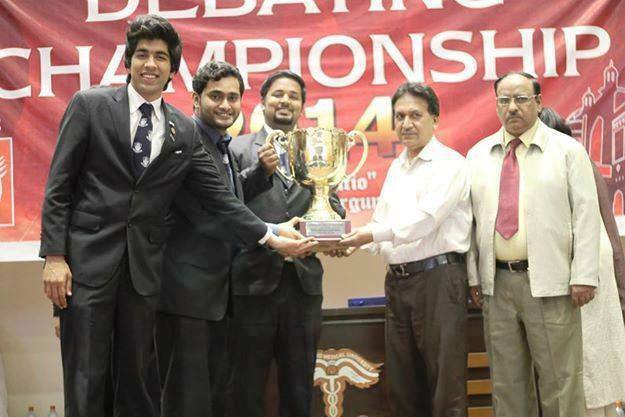 In English Category, Ahsan Ali, M. Adeel and Omer Imran bagged the team trophy. Muhammad Omer Imran was declared the best speaker of the tournament. This was a proud moment in the history of FDS with another glorious chapter added to it. Two teams participated for Urdu category, Team A had Uzair Khan, Waqar Karim and Adnan Warraich and Team B had Rizwan Saleem, Ahsan Rashid and Usama Tariq. Team A made its way to the quarter finals.